This range is perfect for foodies, gardeners, allotmenteers and budding chefs. 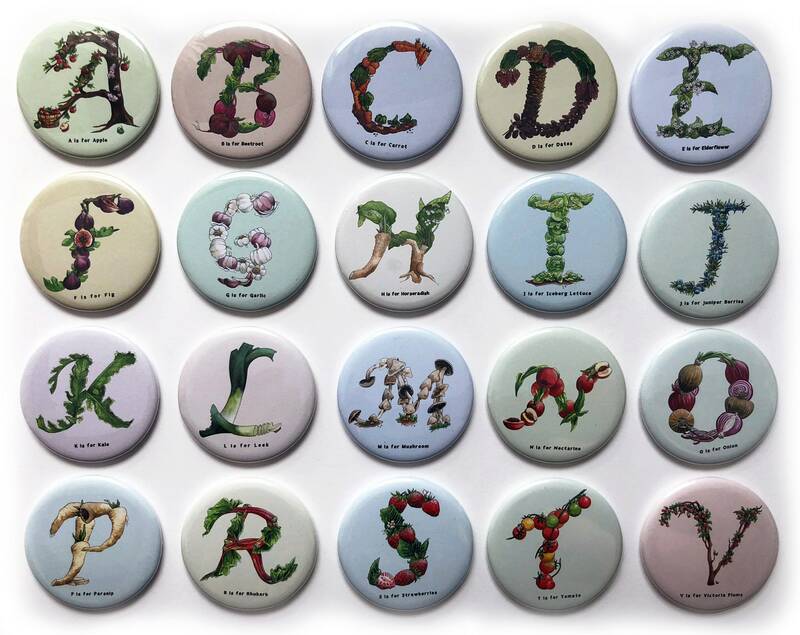 Each letter in the Culinary Collection celebrates a fruit or vegetable beginning with the same letter. 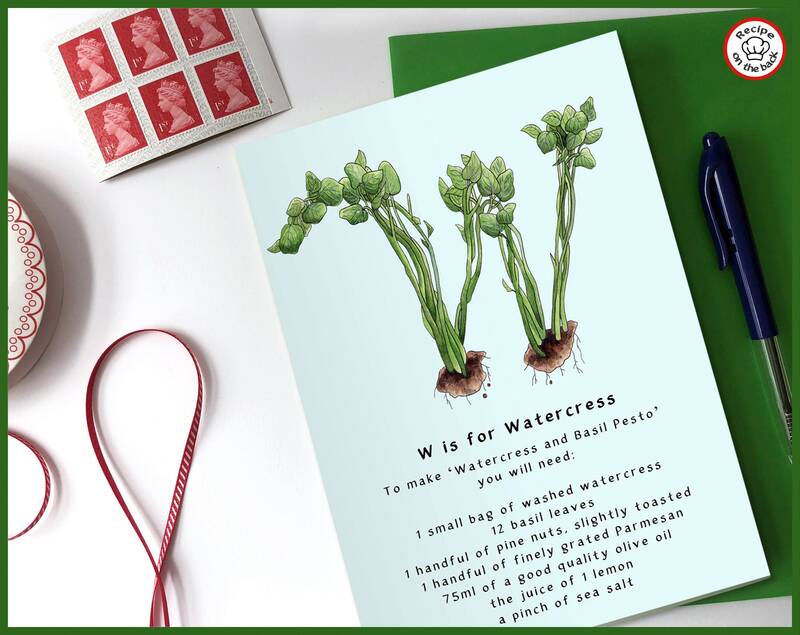 These beautifully illustrated alphabet cards come with a unique twist - every card includes an exciting, easy to follow recipe that pays homage to the fruit or vegetable featured for each letter. 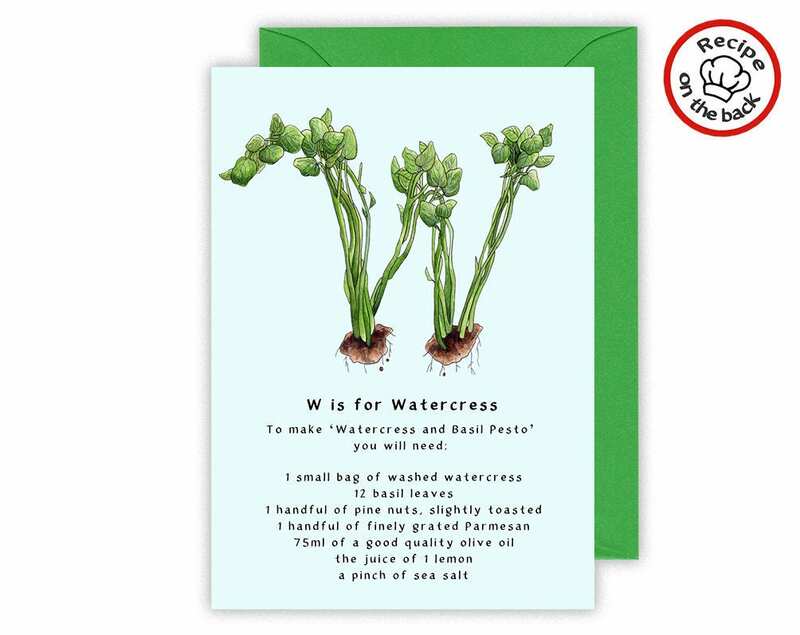 The Culinary Collection alphabet greeting cards are printed onto high quality TruCard, a specialist greetings card material that is glossy coated and scratchproof on the outside, and uncoated on the inside so it's easy to write on. 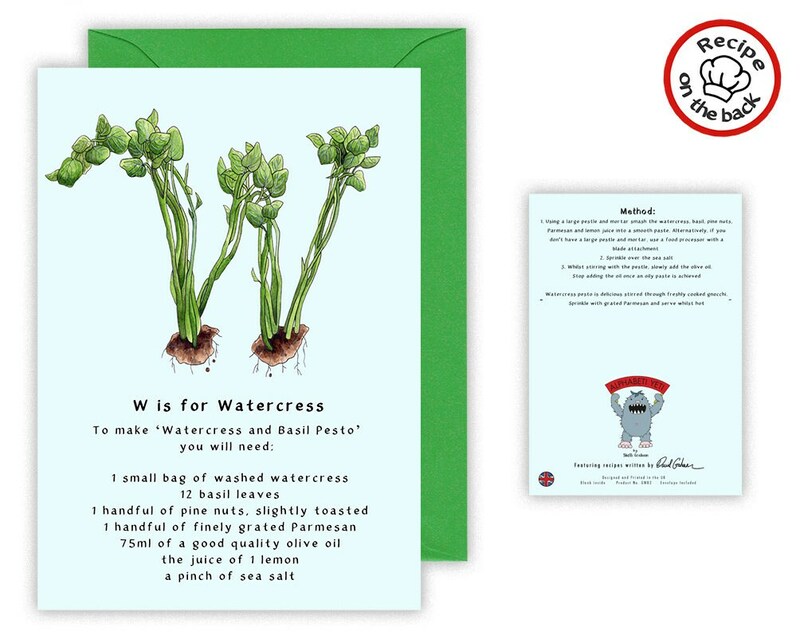 300gsm card is used for high-quality greetings cards that last. The card is left blank inside, leaving plenty of room for your own message. Each card comes with a vibrant green envelope. Card measures 210mm x 148mm and is suitable for letter post. 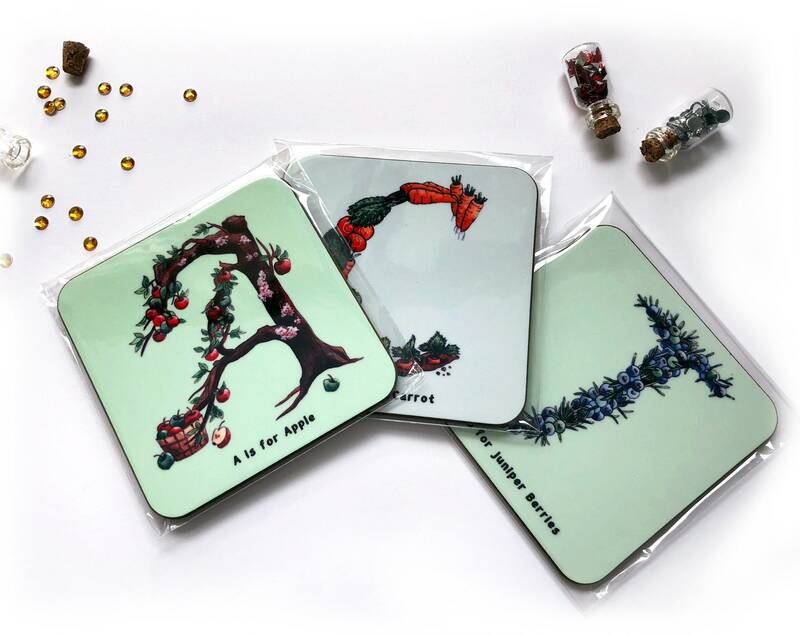 Why not add a matching pocket mirror, fridge magnet or coaster to your order? Simply choose your matching accessory from the drop down menu above.